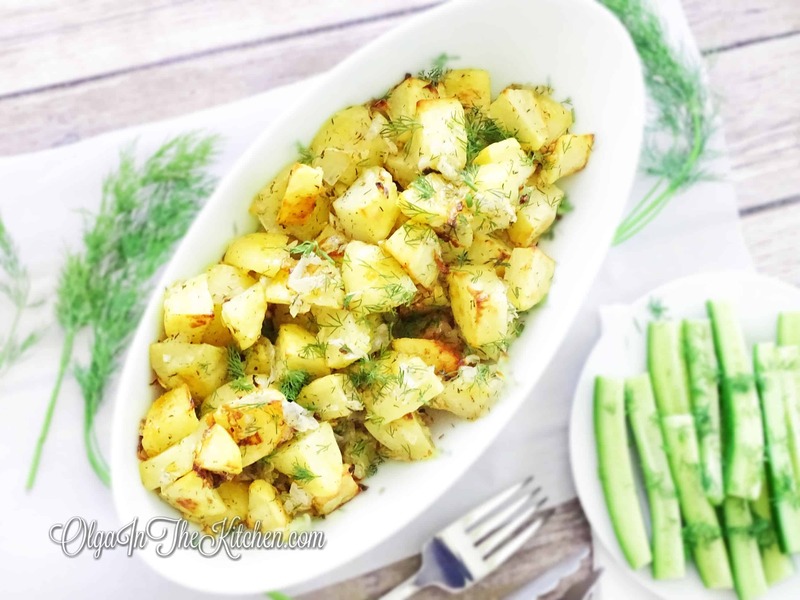 Quick Oven Roasted Potatoes: simple recipe with combo of dill and thyme herbs to bring out the flavor in this easy dish. 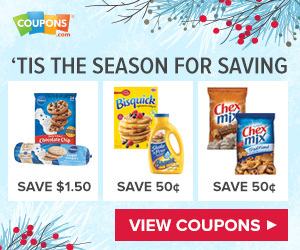 Serve with meat, salad or any fresh vegetable! 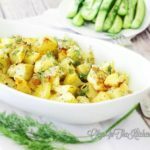 I called this recipe Quick Oven Roasted Potatoes as these are extremely simple to make and are great for last minute guests. 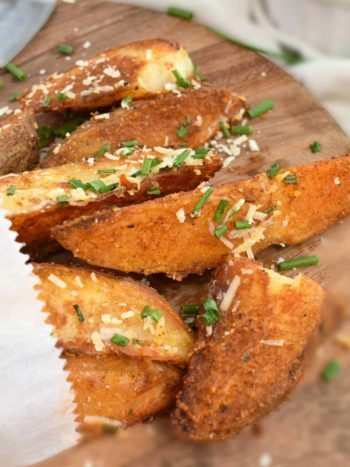 There’s a saying that the quickest and simplest potato recipes are the best (I happen to agree 🙂 ). 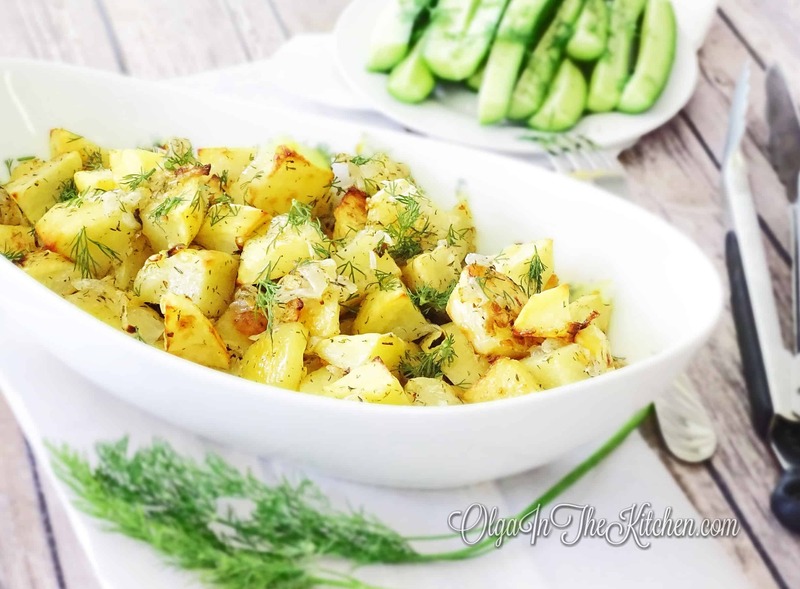 These are delish and rich in taste; we usually prefer this recipe as a main dish and have cucumbers or tomatoes on a side rather than having potatoes as a side dish. I would prepare this dish in oven while we have meat grilling on the barbeque and then everything is ready at the same time when it’s time to serve. If you like strong herb taste, I’d recommend adding some fresh thyme or dill for the garnish before serving – it will add a lot of flavor! and set aside. Weigh 2 lbs gold potatoes; peel, wash and paper towel pat dry. Chop into 3/4″-1” pieces and place into large bowl. Peel, finely chop 1/2 large sweet onion and stir together with potatoes. 2. 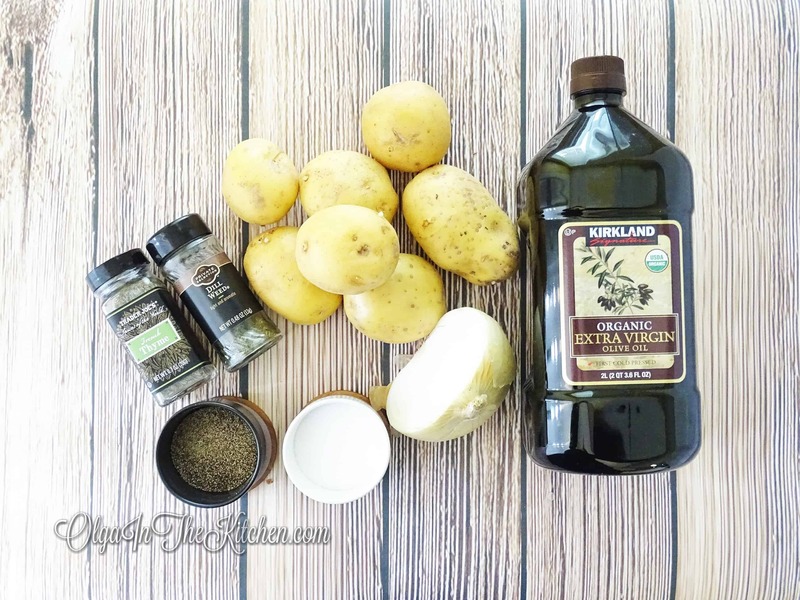 Pour 3 tbsps extra virgin olive oil over potatoes, sprinkle with 1 tsp salt, 1/2 tsp dried dill weed, 1/4 tsp dried thyme and 1/8 tsp ground black pepper. Stir everything together well so that all potatoes are covered in oil and spices. 3. Spread potatoes equally throughout the baking sheet in one layer. Bake for 25 minutes until potatoes become golden/brown-ish color (I did 30 for crispier taste and look). 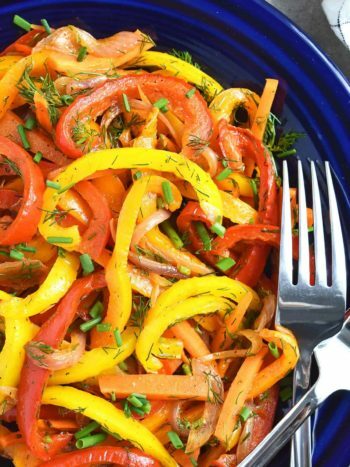 Serve fresh with your favorite vegetables or salad and/or meat. Enjoy!! 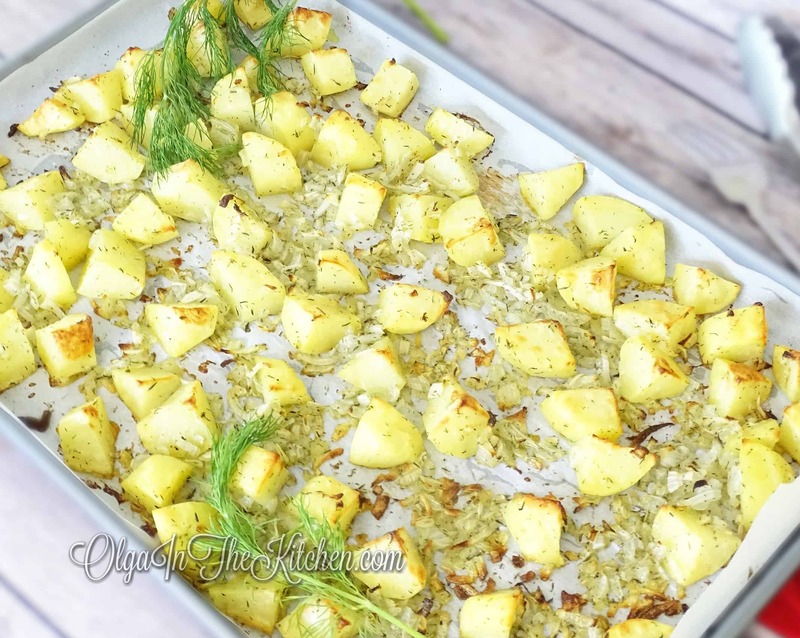 Quick Oven Roasted Potatoes: simple potatoes recipe with combo of dill and thyme herbs to bring out the flavor. Preheat oven to 425 degrees F. Line a parchment paper with baking sheet and set aside. Weigh 2 lbs gold potatoes; peel, wash and paper towel pat dry. Chop into 3/4″-1” pieces and place into large bowl. 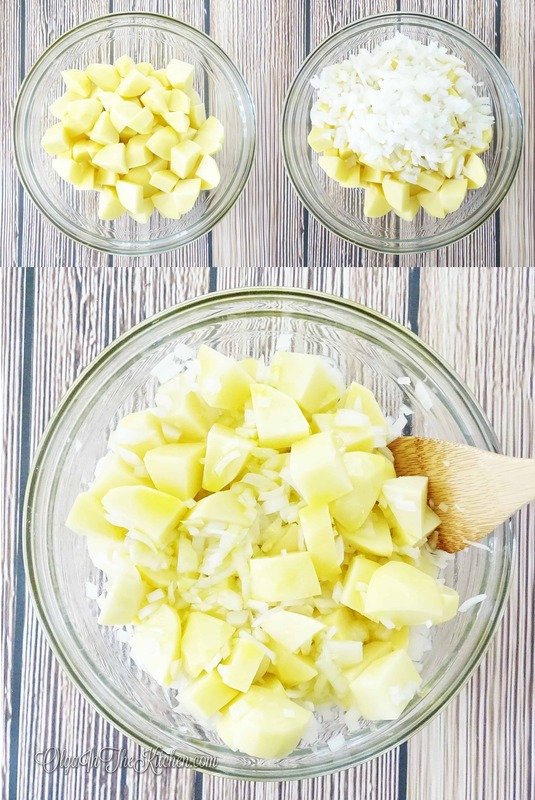 Peel, finely chop 1/2 large sweet onion and stir together with potatoes. 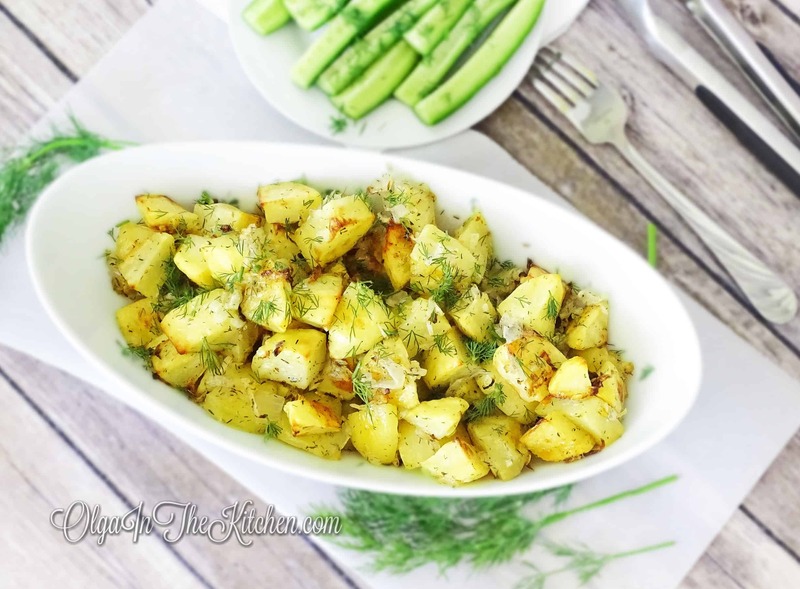 Pour 3 tbsps extra virgin olive oil over potatoes, sprinkle with 1 tsp salt, 1/2 tsp dried dill weed, 1/4 tsp dried thyme and 1/8 tsp ground black pepper. Stir everything together well so that all potatoes are covered in oil and spices. 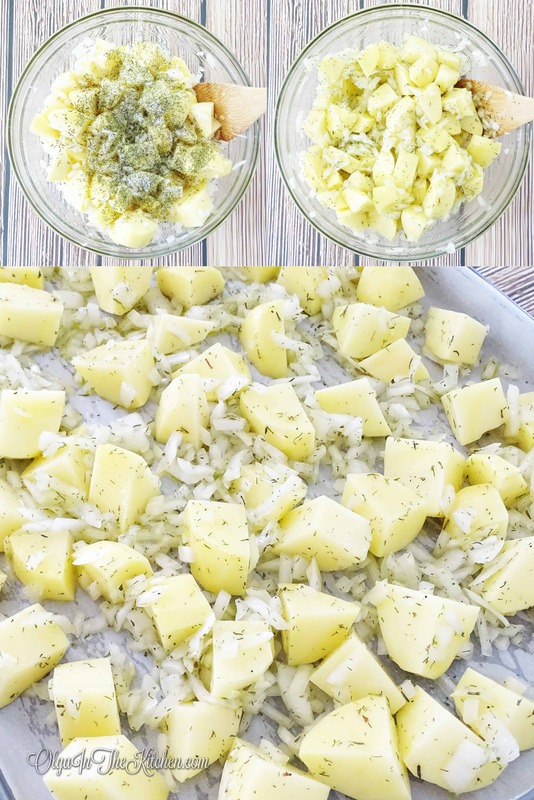 Spread potatoes equally throughout the baking sheet in one layer. Bake for 25 minutes until potatoes become golden/brown-ish color (I did 30 for crispier taste and look). 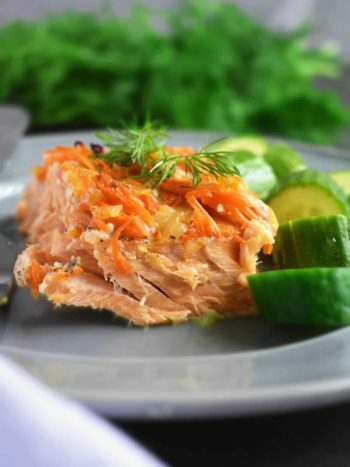 Serve fresh with your favorite vegetables or salad and/or meat. Enjoy!! We made your recipe probably once per week over the summer and today I decided to leave a comment for you to tell you how much we loved it. It’s so different than most baked potatoes and so yummy. 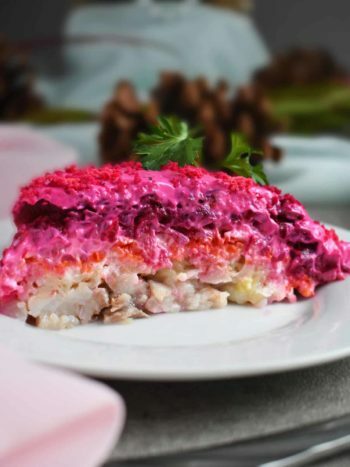 It’s like kid friendly, it looks different and beautiful at a table along with few of your salads and the mashed potatoes. Love your cooking!